The Hyde Park Fire Department holds its regular monthly meetings on the first and third Thursday each month, at 7:00 PM, at the 212 Centerville Road, Hyde Park Fire Station. Fire Permits in the Town of Hyde Park may be obtained by calling the Fire Warden, Ryan Nolan, Monday through Friday 4pm to 8pm. Fire Permits will not be issued on weekends. If you want to burn on Saturday or Sunday, you need to obtain your permit prior to the weekend. Also, permits will not be issued for more than three consecutive days. REMEMBER, the person setting a fire must have a burn permit! 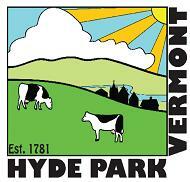 If they do not, they may receive a “Vermont Fire Prevention Ticket,” which results in court action and a fine. They are also subject to any costs involved in putting a fire out by the Fire Department. ALL fires must be attended until they are out. Fire Permits are not required if there is snow on the site, however, you need to notify the Sheriff’s Department by calling 888-3502. The North Hyde Park/Eden Fire Department holds its regular monthly meetings on the first and third Tuesday of each month, at the fire station in North Hyde Park.